Faites affaire avec Pronivo pour créer l’endroit qui vous représente et laissez-vous charmer par la nature qui vous entoure. Chaque étape d’un projet qui nous est confié est exécutée de façon à s’assurer que le client soit pleinement satisfait. Nous sommes fiers d’apposer sur chaque contrat le sceau de qualité que vous recherchez. /// Deal with PRONIVO to create the place that represents you and be enchanted by the nature that surrounds you. Each stage of a project entrusted to us is executed in order to ensure that the customer is fully satisfied. We are proud to affix to each contract the seal of quality you need. Since 1979, Paramount Group has been specializing in custom landscaping, pools, spas, and stonework. Let us make your residential or commercial landscaping project a reality. Montréal and surrounding. Entreprise en Aménagement paysager établie à Quebec depuis 70 ans. We design and plant colorful traffic stopping English-style flower gardens using easy-care perennials that bloom continuously all season and return the following year to bloom again. Our mission is to provide our clients with a plan that is both practical and beautiful, tailored to your individual lifestyle needs. Les Paysagements de Vallée inc.
Les Paysagements de Vallée c'est une entreprise familiale depuis plus de 20 ans. Membre certifié de l'association des Paysagiste Professionnels du Québec depuis 1992. Licence d'entrepreneur de construction depuis plus de 5 ans. Vous désirez réaliser un projet de style contemporain, zen, anglais, classique, naturel ou tout simplement envie d'une terrasse, notre seul objectif : Que le projet soit unique à vos yeux! Créer un aménagement qui reflète votre personnalité est notre principale motivation. Une équipe professionnelle est à votre disposition pour réaliser votre projet. Nous offrons aux clients le service de conception de plan d'aménagement paysager, il n'est pas obligatoire que nous ayons un plan pour effectuer les travaux. Toutefois, dans les deux cas, une excellente planification de notre part est requise. Plantenance is an award-winning team of landscape designers, craftsmen and horticulturists ready to help you transform the ordinary into extraordinary outdoor living spaces. Not gifted with garden tools? 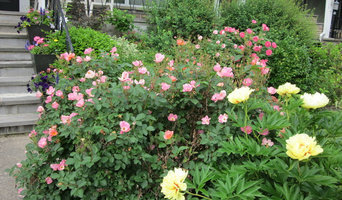 Professional Québec landscaping companies are your best bet to get lush, lovely grounds year round. Hire a landscaper to create and maintain a beautiful yard that complements your home and blends into its native setting. 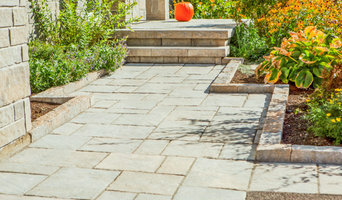 From soil, grasses and plants to decks, walkways and patios, Québec landscape contractors are well versed in the components that make up a functional and visually pleasing outdoor living space. Learn more about how a landscaping company in Quebec City, QC can help you with your yard below. What does a Québec landscape contractor do? Landscaping contractors execute lawn, garden and hardscaping plans that have been drawn up by an architect or designer. They may also provide design services on their own. After the everything has been installed, landscape companies can make adjustments, maintain plantings, take care of weeds and pests, and perform other tasks to keep the scheme looking its best. A licensed Quebec landscaper should have detailed knowledge of Quebec City, QC weather and climate trends and conditions, and can choose plants and materials that are well suited to the area. Residential landscape companies in Quebec City, QC also handle many of the same general duties as builders, including arranging for construction permits, hiring subcontractors and making sure that designs comply with Quebec building codes. Find Québec landscaping services on Houzz. 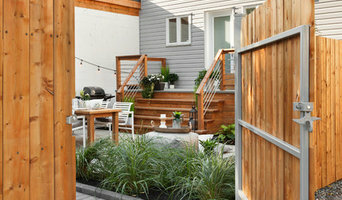 Narrow your search in the Professionals section of the website to Quebec City, QC landscape contractors. 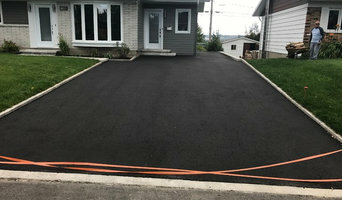 You may also look through photos of Quebec landscapes to find one you like, then contact the landscaping company in Quebec City, QC who worked on it.